Add the absinthe, genepy, green chartreuse, yellow chartreuse, barrel aged genever and hair of the dog bitters to a chilled mixing glass. Add ice and stir until well chilled (enjoy the cool louche affect clouding up the drink). Strain into a chilled cocktail glass. 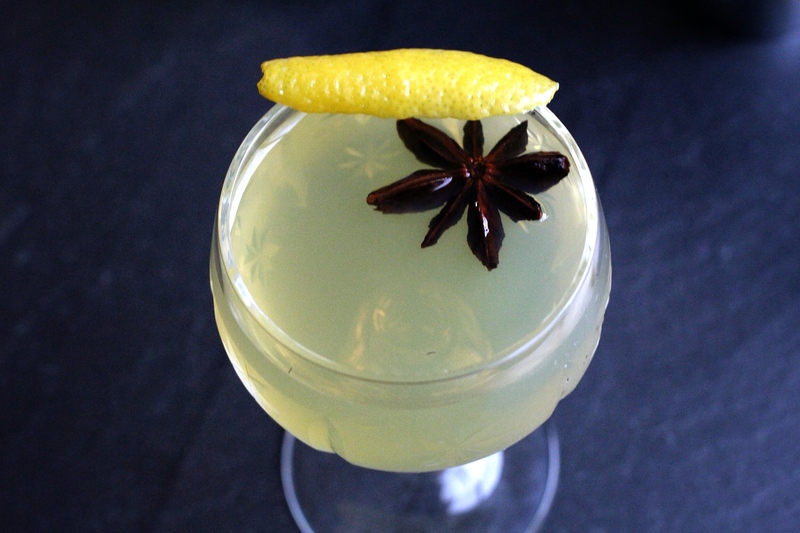 Top with a few drops of Elixir Vegetal and then garnish with the lemon twist and star anise. Anise, herbs, sugar and citrus on the nose. Similar palate with accents of malt and honey which pairs well with the anise and herbal notes. A creme-y sugary mouthfeel, the finish is smooth anise with a lingering sweetness on the tongue. 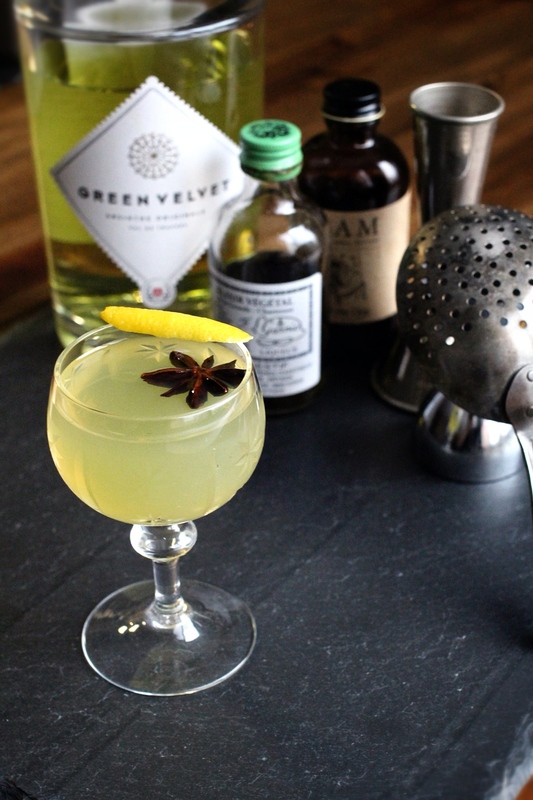 Since I happen to be hosting this month’s Mixology Monday (click here for the scoop), I wanted to experiment with Anise flavors a few different ways. The first drink I made, The Handy Bird, is a cognac/whiskey based beverage with anise accents that ended up being similar to a Sazerac. 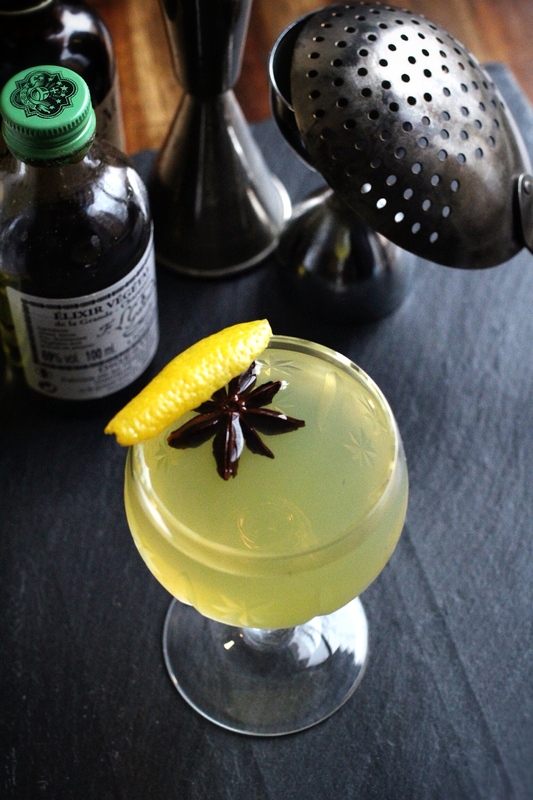 In case the ingredient’s didn’t give it away, A Nise One is all about anise and herbal flavors. 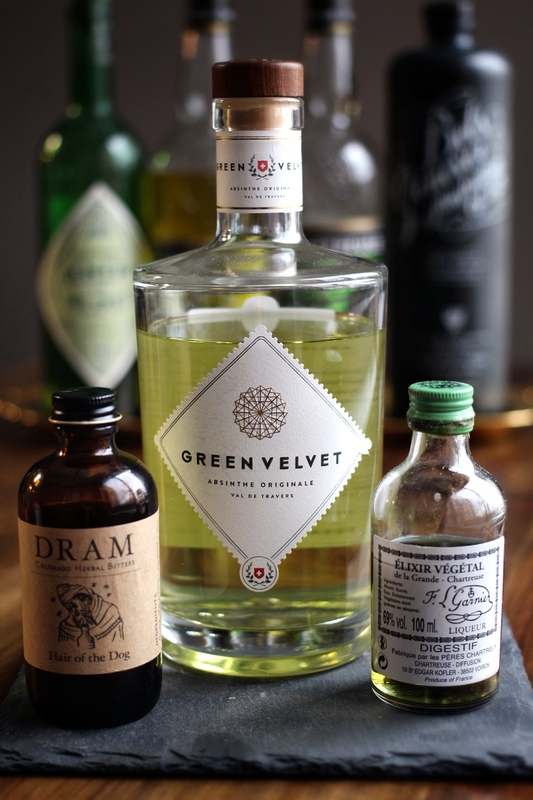 I was lucky enough to have a bottle of Green Velvet Absinthe sent to me recently… it is definitely one of, if not the best, absinthe’s I’ve ever tried (I seriously don’t get paid for this… if only). Look for it in the states soon; in the meantime, if you’re interested, get some at absinthes.com. I’ve had (and made) a few drinks with multiple types of Chartreuse (check out the Chartrulep around derby time next year) and found the combination to be less redundant than I’d imagined. A Nise One is that idea on overdrive, with an emphasis on herbal spirits that also have a bit of an anise flavor. 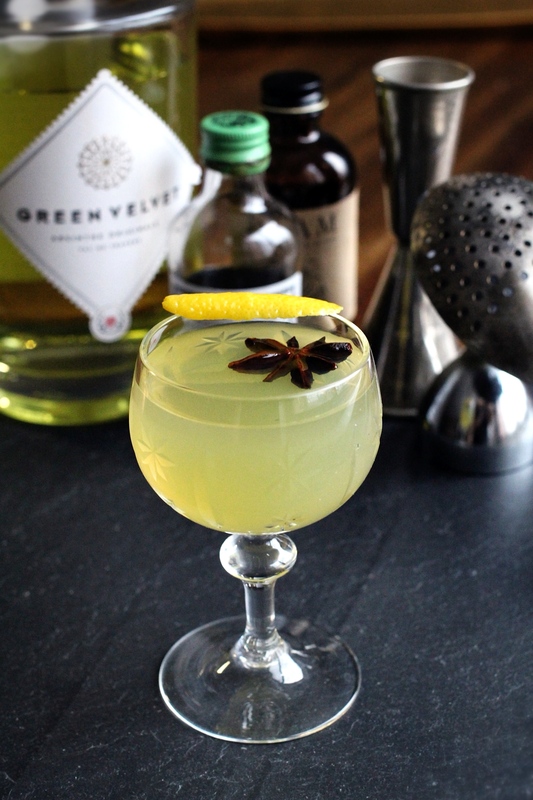 While the version I’ve listed above is pretty awesome, this style of cocktail could easily be made with different, less, or …dare I say, more “anisey” herbal spirits. I wanted to add a base spirit to round out the body. The possibilities seemed endless. I don’t think you could go wrong with gin, whiskey, rum, etc. I chose barrel aged genever, because, first, I’m hooked on the stuff, and second because the malty flavor paired nicely with the anise/herbal notes and the body fit in nicely, somewhere between whiskey and gin. Make it with something else at home if you don’t have genever, it’ll still be tasty, I promise. By the way, don’t forget to get in on the fun with this months Mixology Monday. Make something anisey and link to it in the announcement post here to be part of this months round up. Looks amazing. As soon as I can find the Chartreuse I’ll give this a try. Thanks! Hope you like it. Chartreuse will definitely come in handy in general as well.